Happy Tuesday! I can't believe its already the end of August. Summer has definitely flown by and my kids are already in school. We definitely were busy this summer with swim lessons, trips to Sea World and Legoland and hitting up our favorite beaches. 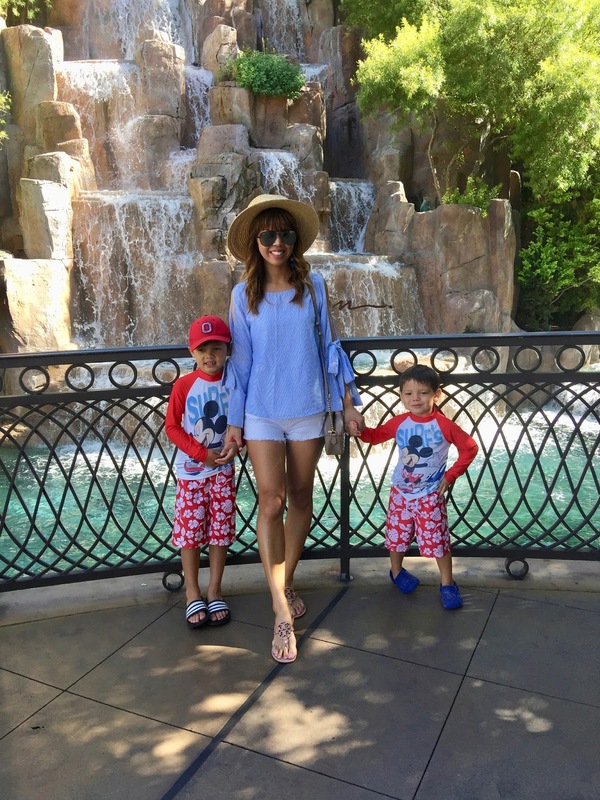 One of our favorite vacation this summer was going to Las Vegas and staying at the Wynn hotel. Surprisingly, there are tons of things to do with as a family with kids. 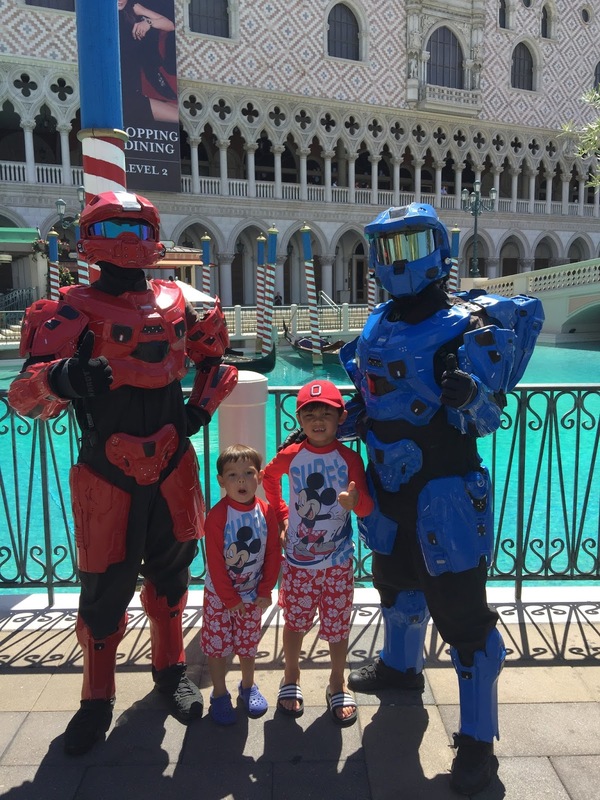 This is our second time going to Vegas with our kiddos. We stayed at the Four Seasons Hotel last time which I highly recommend especially for younger kids. I love that they have a crib and that they baby proof your room which was definitely a plus. They also have the cutest mini robes for the kids and a welcome basket that really made my kids feel at home. The pool was also amazing and I love that we were able to use the pool and amenities at Mandalay Bay. This year we stayed at the Wynn since my husband had a work conference there. The Wynn is equally beautiful and kid friendly. We stayed at the Tower Suites and the view was beyond amazing. My favorite part about staying at the Wynn is the beautiful floral decor in the lobby. The parachute and horse carousel is completely made out of flowers and it is so whimsical and breathtaking. I highly recommend checking it out if you are in Vegas. I also loved the location at the Wynn since it is walkable to so many restaurants and shopping. 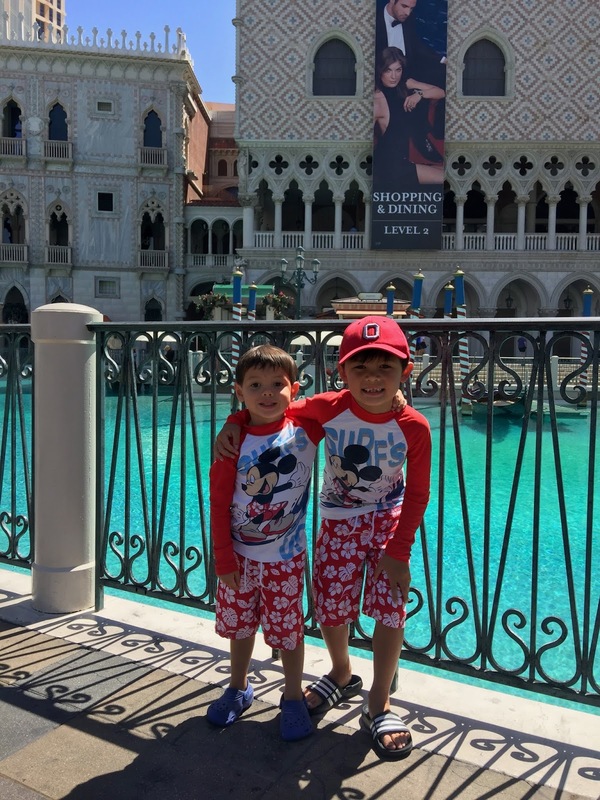 Since I didn't to drive and deal with the crazy traffic, I was able to walk with my boys to grab a quick bite to eat and explore all the shopping that Vegas has to offer. I highly recommend bringing a stroller since there are so many places that are stroller friendly. Another gorgeous dress that I wore in Vegas is this amazing white fringe detail dress which is perfect for a night out or date night. Every time I put the dress on I just want to twirl in it because it so much fun. I also love the lace and white detail which makes it such a unique dress to wear to any summer soiree. You can check out more of Sara Boo designs here. I love that they have such a wide and unique selection of clothing. 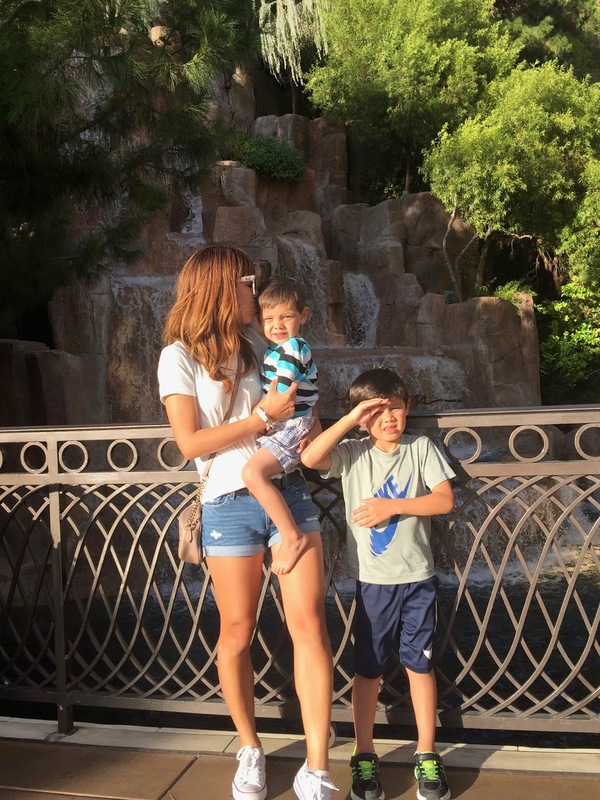 We had such a great time in Vegas and one of our favorite things to do there is hang out by pool and walk on the strip every morning with the boys. We are hoping to go back next summer. I hope you are enjoying your summer and I can't believe fall is just around the corner. I also recapped all the outfits that I wore that is perfect to wear now and when the weather cools down. I'm hoping to blog more often once my schedule becomes less hectic. It's been such a crazy month especially with the boys starting school and heading back to work. It's definitely a struggle as a mom to juggle everything. I appreciate your patience and I'm hoping to get back on schedule. I have so many fun looks to share for fall. Thanks for stopping by and I hope you have a great week! Thank you Sara Boo for sponsoring this post. All opinions are my own.